My Blogger Buzz: How to Make Blogger Blog Comment Box Dofollow? How to Make Blogger Blog Comment Box Dofollow? Getting Traffic to our blog is not a simple task as it looks. We mostly looking for dofollow blog to comment on them especially they are CommentLuv enabled blogs. 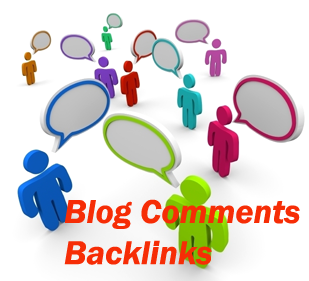 By default, blogger comment box offers nofollow links so if any of our visitor comment on our blog with a link then he got a nofollow backlink. But what you say if i told that you also can make your blogger comment system dofollow. By using a little hack you can make your blogger comment box dofollow and attracts a lot of traffic along with lot of commentors. This is a great trick to attrcts lot of visitors and we also get a lot of backlinks from those sites which collects and share dofollow blogs list. This also increases spam on your blog so moderate all your comments manually. So lets start this amazing hack. Click on save and visit your blog. Now your blog is totally dofollow and ready to attract a lot of traffic. Put up a line in your blog that your blog is now dofollow, then surely half of your visitors is interested to comment on your blog to get a dofollow backlink. It is quite easy and a lot effective trick to attract a huge traffic towards your blog. Now It's your turn to share this post with your friends and share your feedback in comments till then Peace, Blessings and Happy Commenting.